Confessions of a Campus Missionary: Happy Halloween! About three months into my campus ministry internship I am learning to be efficient with the time God has so graciously given me because I definitely do not have much of it! Campus ministry warrants a lifestyle that is purposeful and prepared for any kind of situation that arises. 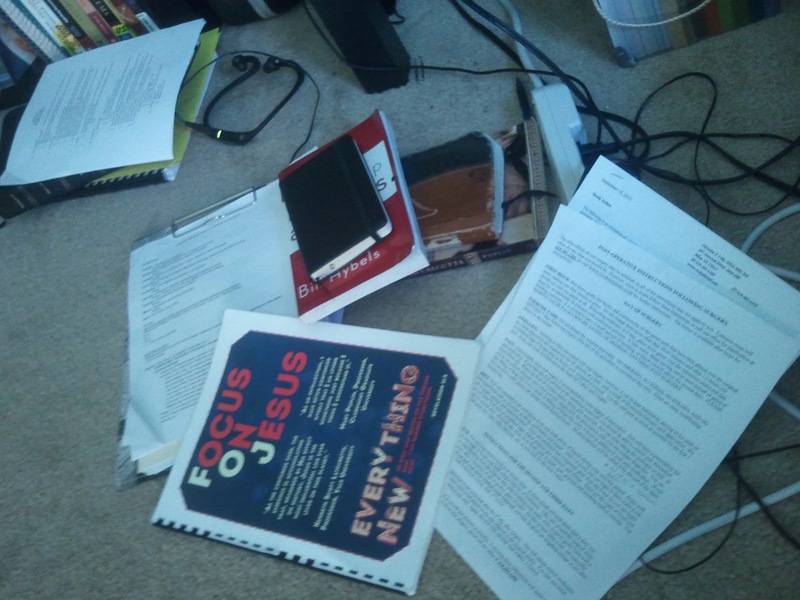 To let you into my life a little bit I am posting a picture of my 'workstation' (and I use that term loosely) that consists of a few books I am reading for ministry and different notes and bible studies I am doing with other students. Enjoy! Please pray that myself and the other campus ministry staff here would finish our semesters out strong and not grow weary in doing good :) I am also having my wisdom teeth taken out this Friday morning so please pray for a safe healing! Just catching up on your blog. Good things happening! I'd like to hear more specific things you are learning and specific stories of what you see God doing in the lives of students. Keep up the good work!